Why custom engagement ring Is the right choice to express love in Toronto? All promises are not equal, especially the one in which you have to make a commitment of a lifetime. Merely a pinky swear is not going to be enough when you are promising your loved one that you will stand by them until you die. This is the exact reason why people put a lot of effort in choosing Engagement Rings Toronto. You have to be sure that you choose such a ring that symbolizes your commitment of life. If you really want to show commitment, then instead of choosing any other ring, you must choose a custom engagement ring. The effort that you will put in getting a custom ring will be the very first sign of how much you love your partner. The decision of getting a custom ring is not as simple as it seems. You will have to be sure you know your partner’s preferences, the latest trends and everything else that is necessary to get a lovely engagement ring designed. It is better that you visit a custom jeweler to help you choose the right design. Many people have the misconception that custom designs can get quite expensive but the truth is that they can fit any budget. You must know what design you want, and you can get it in silver, yellow gold, white gold, palladium or platinum. The custom jeweller designers can get you a custom ring designed at a fraction of the retail price of the ring. Even if you have an old ring of your mother, just take it to the jeweler, he will refine the gold, remove the stones, add your bit of design and there you go with a lovely custom ring designed at a really affordable price. Nobody would believe that you got your partner such a beautifully designed ring at such an affordable price. But who needs to know? Keep it a secret, you know you are giving your partner the best thing to wear. There will be a large role of the customer jewelry designer in making your partner’s ring look gorgeous. 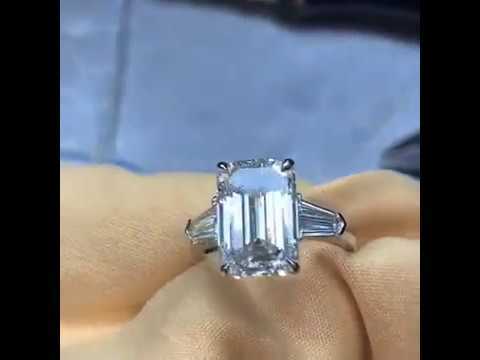 A good jeweler is always going to be keen to know your priorities, the type of stone you want, clarity of the diamond, the design and anything else that is your priority. You won’t want to choose a design that is a fad, go for a timeless option for your better half. It is never wise to break your bank on getting an engagement ring designed, feel free to tell the designer about your budget. He will then give you options that fit your budget well. It is a custom design and you are going to be the boss, so know what you want it to be. You might have seem many diamond engagement rings and things might be getting a lot muddy when it comes to choosing the design. The best way to start is to separate the styles that you like and the ones that you don’t like. Take a look at the ring selection at the jewelry stores, look into magazines and take help from the internet. You can also explore the Designbysevan.com Toronto to learn more about the trendy designs. Just remember one thing, it is not necessary for the center stone to be a diamond. You can choose ruby, sapphire or any other precious stone you like. Getting a custom engagement ring designed isn’t going to be easy at all and it is not something that can done in a haste. From the start to the finish, you will have to give this task a lot of time and effort. That’s what is going to make this ring more meaningful. Prior to going to the jeweler’s shop, you have to do your own research and homework. Don’t just rely on the jeweler to show you design patterns or give ideas. Once you have placed the order after holding series of discussions and making some alternations in the original design you had in mind, it is going to take at least 6 weeks for your order to complete. This is one of the high priorities even if you are buying an engagement ring off the shelf. If you are getting a unique style designed that involves a lot of craftsmanship then it is obvious it will get a lot costly. So, before you lay your hands on any design, be sure that it fits your budget. It is not necessary that your partner will only get happy seeing an expensive ring, quality and design matters too. Choose such a jeweler who can modify the attributes to cut the cost and make this ring fall in your budget. If things are getting way too expensive then don’t worry, you don’t always have to choose a fully customized ring. It is ok to choose a pre-made setting and a stone separately and get your partner something gorgeous. The beauty of the ring depends on the designer chosen as well. Ask any of your friends with a referral to a trusted designer. This might let you find a designer with whom you can negotiate the price for the ring. Do not just choose the designer right away, you have to be sure he has the right professional affiliations to do the work for you. Ask the designer to show his previous work. This will give you an idea whether or not you have hired the right person. Once you have thrust the job in the right hands, you will know the final product would be awesome. When the ring is ready, give your partner a surprise and propose with this custom ring. She is going to get overwhelmed with feelings of joy, love and excitement. PreviousPrevious post:Why we are different then other jewellery stores?NextNext post:Create your own dream ring for your dream girl.